Last week, I reviewed our first Journey of the game. It went stupidly well. This week, I’ll continue the story of the first session and our second Journey. It goes stupidly. Again, I’ll discuss the mechanics of the system a bit and this time some battle numbers. 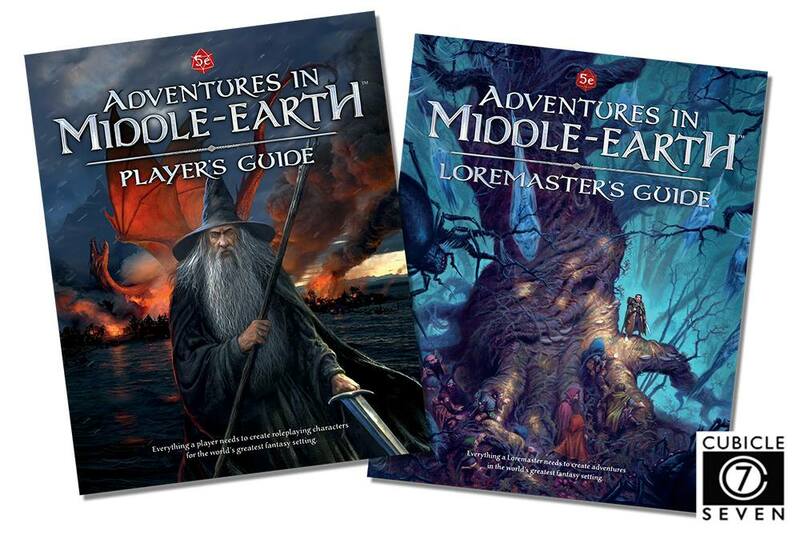 At the end I mention Cubicle 7’s January sale – 25% off Adventures in Middle-earth™ Player’s Guide and Loremaster’s Guide Bundle. “Preparing the Way and a Humble Reward” in which I announce this column and share my hopes therein. “Preparations and Character Creation and Warden to Scholar” in which I discuss the mechanical reasons for why I played a Scholar in the least scholarly way possible. “Character Backstories” in which I recount character backstories… badly recount. “Character Backstory – Finn of Gondor” in which John of Georgia tells one truthful backstory and two lies about his character. “The First Journey” in which there is some discussion of the Journey mechanics when it goes incredibly right. Not a part of the play review, but “Everything We Know About the LORD OF THE RINGS Prequel So Far” gives voice to my annoyance at seeing several similarly titled clickbait articles. Gwynnestri’s elven friend, Adabeuond, takes the fellowship to meet with King Thranduil of the Mirkwood Elves. Our goal is to gain his permission to travel north through his woods. After our great rolls for the first Journey, Gwynnestri obtains permission for all of us, even the dwarf, to pass through his kingdom and, in exchange, she agrees to report back what she learns. The fellowship gets to stay the night at the King’s Hall and partake in their merrymaking. That night, Kort plays an ocarina (a haunting melody). Kort, the Hushed, a Slayer, was assigned the Hunter position. Gwynnestri of Mirkwood, Treasure Hunter, ended up as our Scout. Robgud Clarfield, a Hobbit Scholar, ended up as the Guide. Finn of Gondor, a 17-year-old human, took the Look-out assignment. We lead with a roll for the Embarkation Table. The guide (me) rolls a d12 plus modifiers and the result was a 7: Feasts Fit for the Kings of Ancient Times. This was not a bad result as it gave the entire fellowship a +1 to all Skill Checks for the duration of this Journey. Next, it’s the Journey Events Table and, I mean, how bad could that be? A second d12 roll (plus bonuses) for 12. Journey Events Table = Many Meetings? Fly you Fools! That led to a call for the Look-out to make a WIS (Perception) roll, which John failed. Bookkeeping complete, the next morning (in-game) we continue walking along the side of the river. That night, the Many Meetings? Fly you Fools! and that failed Perception roll… ay, gawd… Yeah, that resulted in Finn spotting a 12’ wolf across the river, as you do in Mirkwood. His Nature check (17) confirmed it’s not a worg or a natural wolf of any kind. Finn, the 17-year-old human, points out the monstrosity and Gwynnestri, the elven Treasure Hunter, does a Shadow-lore check (13) to realize it’s The Werewolf of Mirkwood, an agent of The Necromancer, a spirit in wolf form, a foe far greater than the party could handle (as 1st level characters). By now, the whole fellowship has an idea of what we’re facing so Kort, the Hushed, the dwarven Slayer, decides to wade across the river and confront it. Gwynnestri runs after Kort and talks him down from chasing down the werewolf. From its position across the water, the werewolf summons 12 wolves (each CR 1/2). They split into two groups of 6 each with one group fording the river in front of us to attack while the other heads down river to cross. To get Robgud out of danger and let him use his bow, Kort tosses the Hobbit Scholar up a tree. Following suit, the human and elf climb trees as well. There is a campfire on the ground. This leaves Kort on the ground so he charges at the half dozen wolves that crossed the ford as we shoot. The setup is: Trees with Robgud, Gwynnestri, and Finn in them, the campfire (for light), Kort, the 6 wolves, the river, and then the Werewolf of Mirkwood on the far side. From above, we have Advantage on shooting so it’s a round of hits with damage like: Gwynnestri (11 damage to slay a wolf), Finn (6 damage), and Robgud (5 damage). The wolves lock with Kort. He strikes one with his mattock for 9 damage (killing the wolf). Many of the wolves miss Kort, but one hits. As a Bonus Action, Kort activates his Battle-fury (think Barbarian Rage). From the trees, we continue to shoot the wolves that are not engaged with Kort. Gywnn does 15 damage (another death), Robgud does 8 damage, but Finn misses. Kort attacks doing 17 damage killing that wolf. Throughout the fight, the Werewolf of Mirkwood has observed without becoming involved. This has been critical to our success since, you know, he’d tear through us like Hobbits at a buffet if he joined in. For thematic purposes, the Loremaster gives Kort another combat action as Kort throws (NAT 20 + 5) the freshly killed wolf carcass at the giant werewolf. It hits the beast to no effect (because if he dove in, that’d end us) and combat continues. Gwynnestri shots the last wolf for 7 (Finn and Robgud miss). The last wolf attacks Kort for 4 damage but Kort kills it (15 damage). The 6 wolves, the trees with Robgud, Gwynnestri, and Finn in them, the campfire (which is too far from the wolves to provide light ending our Advantage), Kort, the river, and then the Werewolf of Mirkwood on the far side. Add to that, Kort is so involved with the Werewolf of Mirkwood that he has Disadvantage on his Perception to even realize the wolves are coming up behind him. He rolls a 1 and a 1 because of the Disadvantage, so he takes a 1, totally oblivious. We go with the same strategy. Between Finn and Robgud, they kill an incoming wolf. Gwynn kills one on her own (14 damage). Kort, completely distracted, gets hit by the incoming wolves (for 9 damage and 12 damage). Despite the Battle-fury reducing his damage and having some high starting Hit Points, he’s down to 3 HP. Still, he counterattacks and does 14 damage, killing another wolf. With Kort on his last leg, Finn and Gwynnestri decide to climb down from the tree and attempt to distract the wolves and aid Kort. However, neither is successful in attacking or distracting the wolves. Instead, the wolves knock Kort below 0 HP, another hits Finn for 9 damage (so he’s just barely standing), and yet another hits Gwynn for 9 damage knocking her below 0 HP. There are 4 wolves left (2 fine, 2 wounded) versus Robgud and Finn. Finn flees for a tree while Robgud shoots a wounded one for 8 damage, slaying it. The last 3 wolves fail a homebrew morale check and flee. On the ground, Robgud instructs Finn on how to save Kort with the Athelas while Robgud uses his one application of Hands of the Healer to restore Gwynn to 6 HP. Kort, just barely up after this encounter, glares at the Werewolf across the river. In a small bit of deference over a well-fought battle, the Werewolf of Mirkwood leaves back into the night. For those keeping track at home, the Werewolf of Mirkwood (CR 6) and 12 wolves (CR 1/2 each) gave a CR total of 12, or 6, depending on how you count. Any encounter calculator will rank that encounter as “Deadly”. Had those wolves not retreated, we would have had at least two party members die during the first session. Had the Werewolf of Mirkwood joined in directly, I’d be telling you about rolling up a new character. However, it didn’t and the fellowship survived. Cubicle 7 is taking pre-orders for Adventures in Middle-earth – Bree-land Region Guide + PDF on there site (here). As soon as you order, you get the PDF. Logo taken from Bundle of Holding’s Adventures in Middle-Earth for D&D 5e offering. 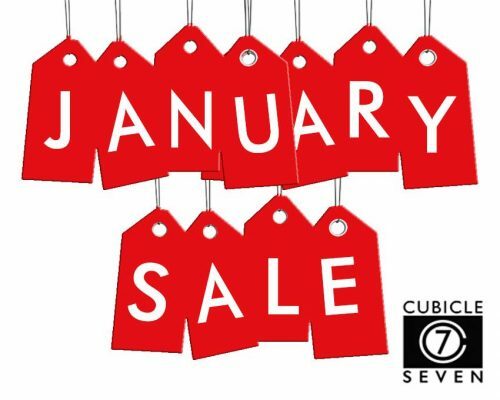 On Cubicle 7’s website, they have their “January Sale Offer! Disclaimer: This article may contain affiliated links to DriveThruRPG’s affiliate program and/or Humble Bundle’s Humble Partner program. Tagged Adventures in Middle-Earth, Cubicle 7, Dungeons & Dragons 5e, Play Review.